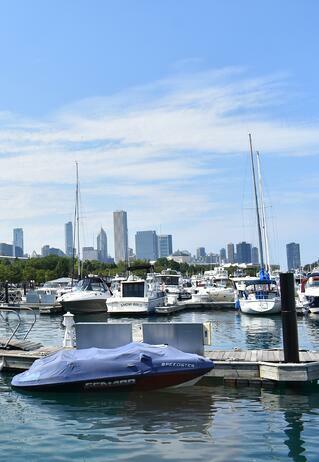 Burnham Harbor was the last of the Chicago Harbors to check off my list – last but definitely not least. 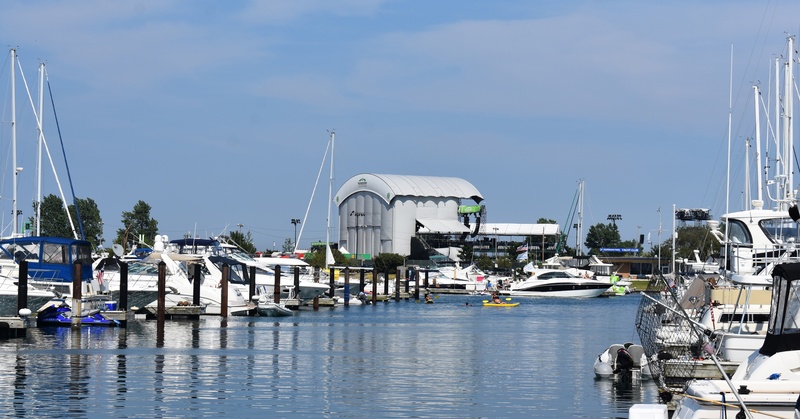 For boaters who want a front-row slip for live music, football, museums and more, this harbor takes the cake when it comes to Lake Michigan's coastline. Some side-note for tourists visiting from far afield: I was instructed that Chicago's obsession with deep-dish pizza is a myth. Ubers run rampant – always a minute away, so be at the ready. And finally, a special shout-out to the Weather Mark Tavern on Michigan Avenue just due west of Burnham Harbor (20 minute walk). 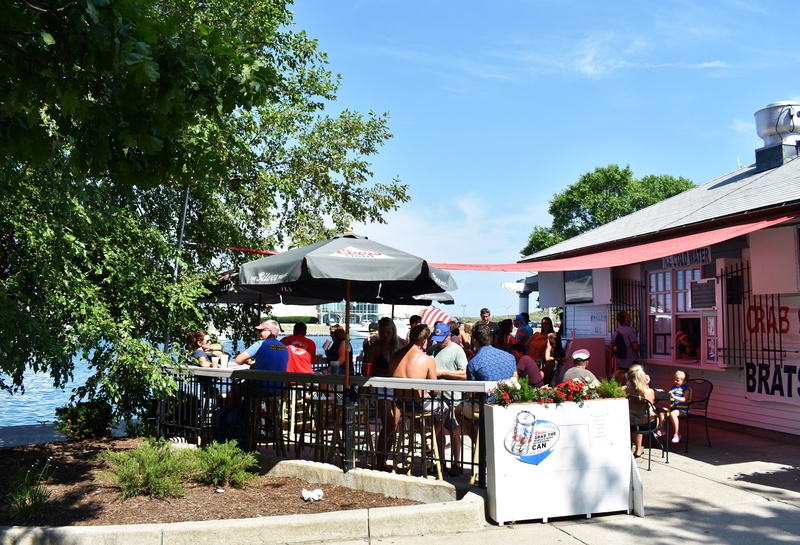 It's one of the only sailor bars (excluding yacht clubs) that I found in Chicago, and happens to be owned by our friend Mark from Island Party Hut. 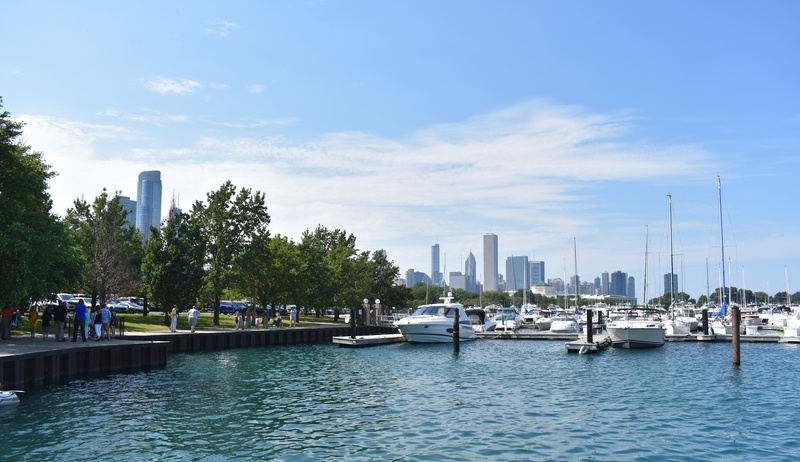 Home to 1200 slips – the largest of the Chicago Harbors marinas – Burnham Harbor is walking distance to downtown Chicago downtown... but while docked here you don't need to venture that far to keep your crew entertained. In just the short time I was on site, I watched boat after boat using the three ramps and navigating into their slips. This marina is hopping, and that's just the people-watching. Go beyond the people-watching and explore your new surroundings! 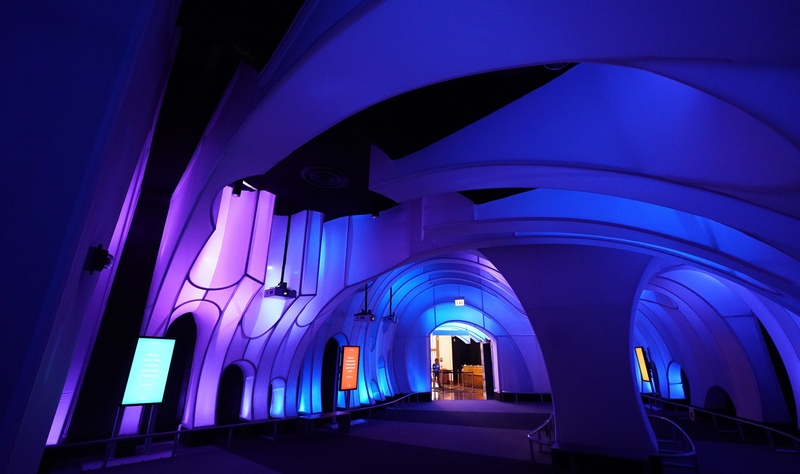 Situated on Chicago's "Museum Campus," Burnham Harbor is surrounded by the Adler Planetarium, Shedd Aquarium, Field Museum of Natural History, Soldier Field (the home of da Bears! ), and a stunning skyline view to boot. In just a short, scenic walk from your slip you have days on end of activities. In clear view and earshot of the docks, Huntington Bank Pavilion could either be a blessing or a curse. If you're looking for a quiet night, make sure to check the schedule so you're not falling asleep to a Megadeth reunion. While there, I did a quick (read: covered maybe a fourth of the marina wall in ten minutes walking) dockwalk while listening to Phish sound checks and warm up for their weekend of shows. If you have tickets to your show you save yourself the trouble of looking for parking, but there's really not a bad seat in the house if you stay put on the docks (and the beer is way cheaper). Non-boating folks from downtown were already starting to gather. When booking, keep in mind the 2-3 day minimum for popular weekends! This includes concerts as well as the Race to Mackinack Island. 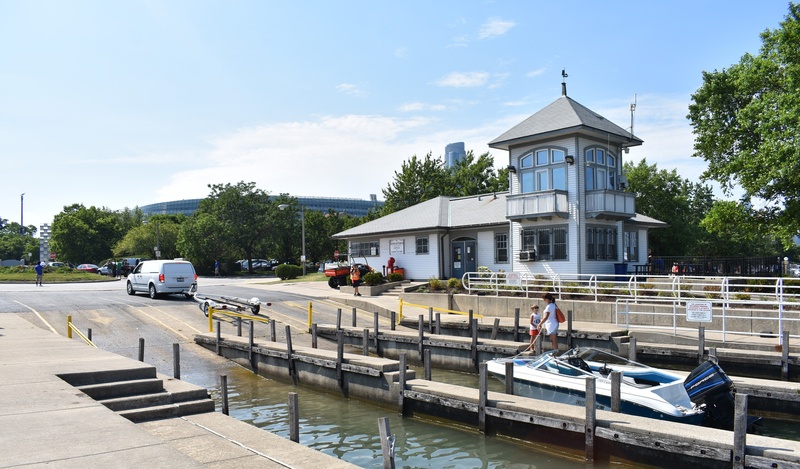 Burnham Harbor's staff is friendly and helpful, with an office situated inside the small ship's store. The on-site restaurant with outdoor seating is the perfect place to grab a beer and some brats with friends. 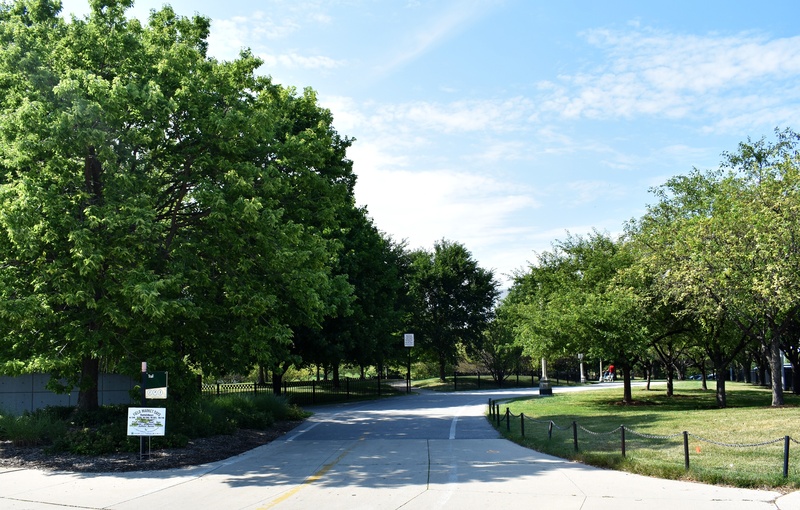 Crossing the harbor property is a well-kept bike path that is maintained by the Chicago Parks department. Stretch your sea legs with a ride or stroll along the path to Daphne Garden. With all the activities, amenities and friendly faces, it's not hard to make the call to dock here. But if you don't believe me, you can always visit the Burnham Harbor profile on Marinas.com, which has a number of rave reviews from boaters. Great accommodating staff. Fuel dock well run and reasonable prices. Phenomenal view of the city and the Navy Pier fireworks. Our second year there and we will make it an annual event. The online system worked flawlessly.